How the Star Wars Cantina Aliens celebrate Thanksgiving Day. I like these guys so much, they animated themselves for me! 32 NFL Rush Zone figures to collect all hidden in a blind bag. I got enough repeats to see that little number code in the lower corner is accurate. I am excited to get a Denver Bronco to start, but I would really like a Chicago Bear. Looks like I am going back for lunch tomorrow! :) What an epic start for NFL and Happy Meals. The toys work pretty well to in tossing the ball! And another Marvel Science set to get your geek on, the Iron Man Repulsor Ray Tech lab! A entertaining ball lift toy, that plays of fan technology. Lots of tricks to master with this set. If you are looking for an alternative toy to play with, check out the Iron Man Arc Reactor Lab. Its a pretty challenging little puzzle when you dive into it. The effects are nice, and it also works as a flashy night light. Waaaaay better than a Lava Lamp! Bwaaaa? Dan is posting images? Yeah, yeah, its been a while since an image post. Ha ha, Almost forgot how to do em! Hoist and Trailbreaker break the video streak as they are 80's rad. I didn't realize they were going to be common molds, as I don't look into these things as closely these days, but it doesn't change how awesome they are. The best part is they are super easy to transform. 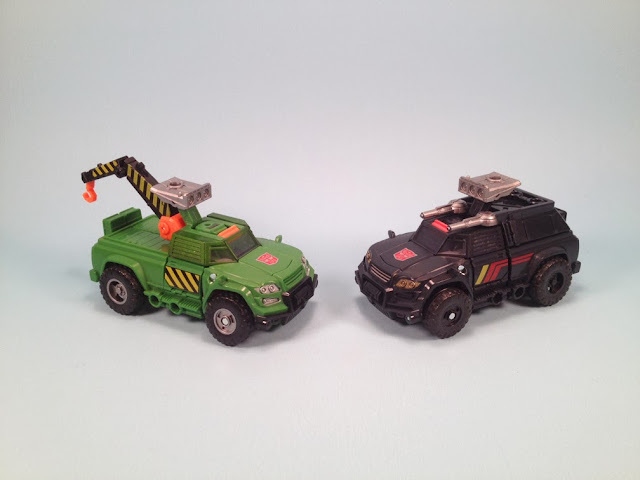 For awhile there, these classics were getting ridiculous in transformation (Ironhide), that I started to pass on them. 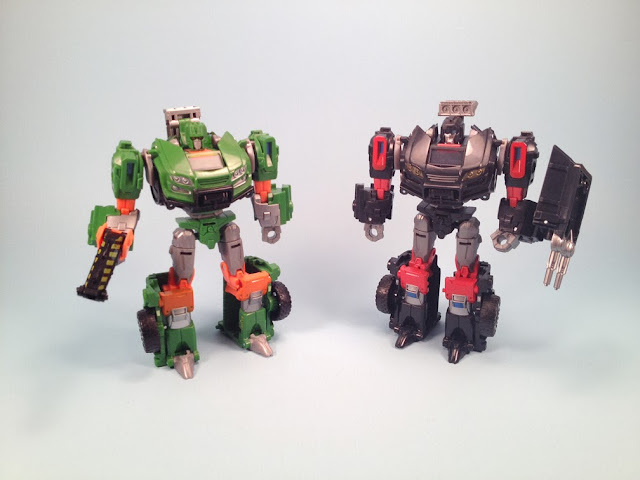 These 30th anniversary guys Transform back and forth easily in under a minute, and are very sturdy. Hoist could have used a better bed piece to mimic the classic, with orange rails, but thats nothing big. Trailbreaker, looks almost near perfect in my world. I remember G1 Trailbreaker clearly, as I broke a friends back in the day. The funny thing now is, I realize, my friend probably already broke him, pieced him together, and let me take the fall. Thats how we did things in the 80's. "Ungh, whats with the colors, did someone take this photo with their phone cam?" Ramping up more Daniel Tiger stuff here, my kid can't get enough, and the show has pretty much mind controlled me into doing more toy reviews. This is a good value play set as it has the core house, and imaginatively transformed into a Jungle environment. Replay Bears Shea McClellin injures Aaron Rogers Shoulder MNF. Bears WIN!!! OUCH! Toy Museum field photographer captured the exciting footage of the Bears win over the Packers! Let the debate begin! Books or Toys!